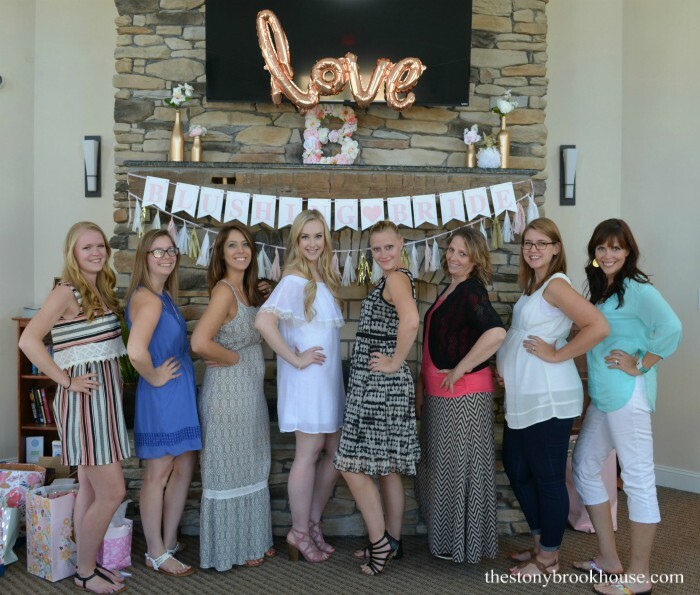 This bridal shower was so much fun to prepare for! 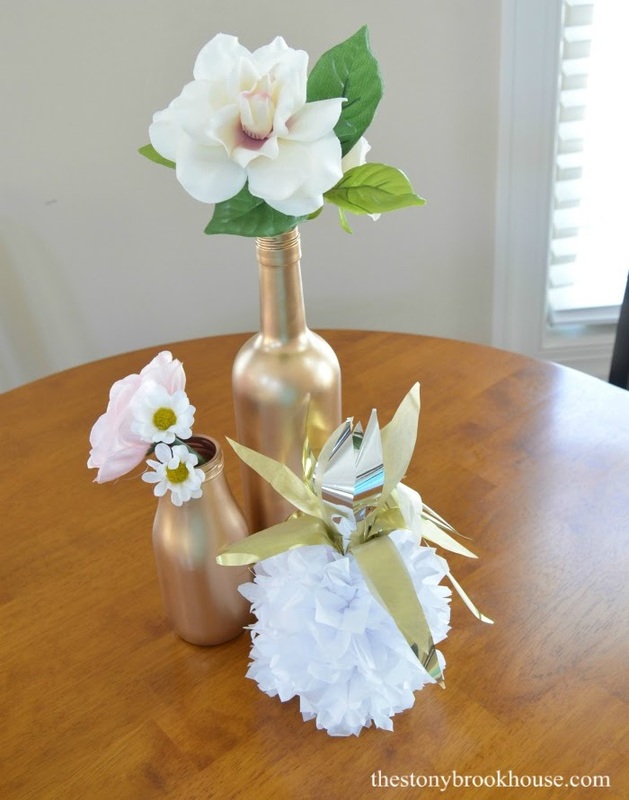 My daughter's maid of honor asked if I would do the decorations for it. YES! Of Course! 😍 She knew this was right up my alley. 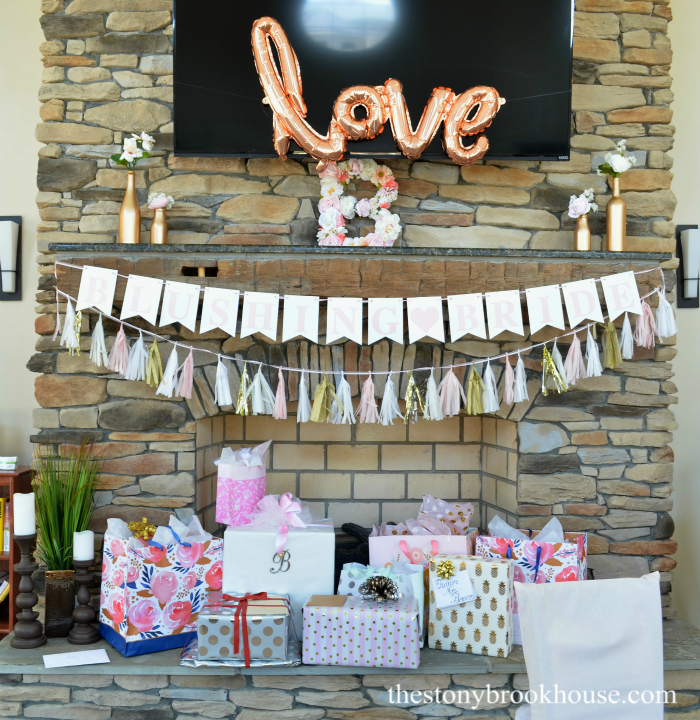 I DIY'ed all of the decor except for the mylar love balloon. Didn't it all turn out great?! 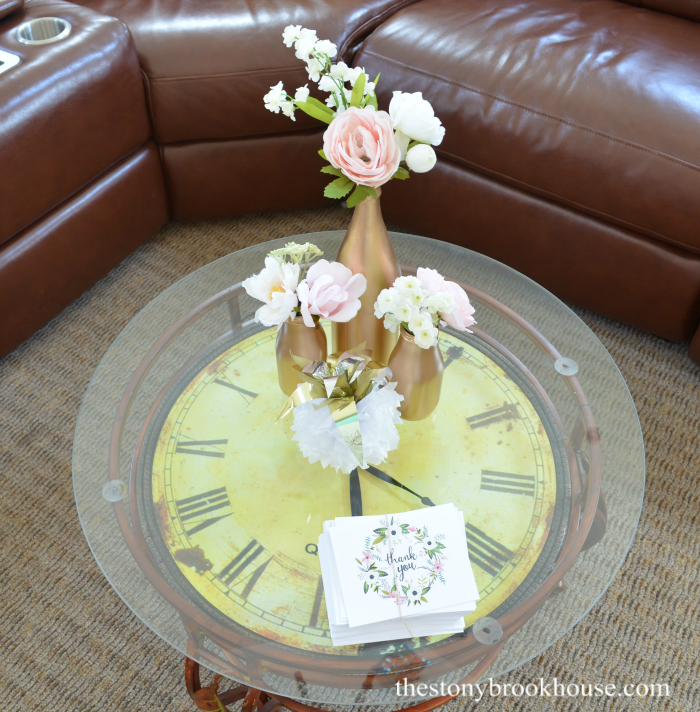 In later posts I will show you how I did all of the decor. 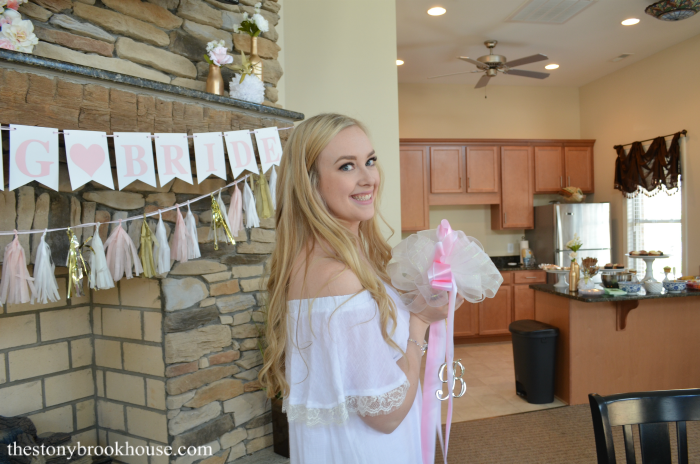 I just couldn't wait to show you how fun the bridal shower was! Here's a better close up of the banner. The lighting was awesome in this community room, I just didn't get the best angle to see the letters on the banner. 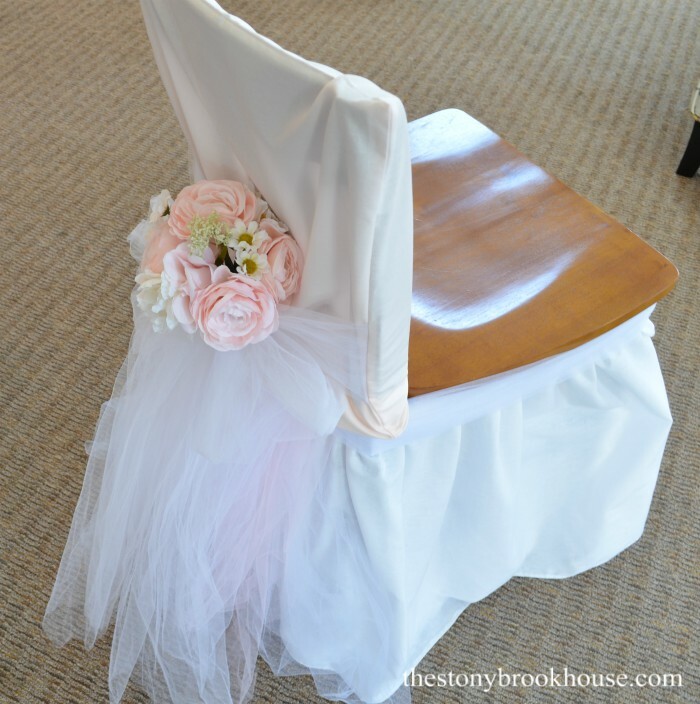 I wanted some special seat for the blushing bride... So, I made this seat cover. The flowers are a bouquet I bought and just stuck in there. 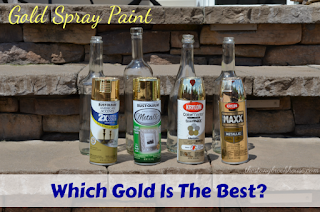 All of the bottles were spray painted a lovely shade of rosy gold. 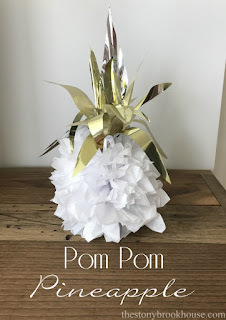 You'll also see here and there little diy pom pom pineapples. Aren't those little pineapples too cute?? 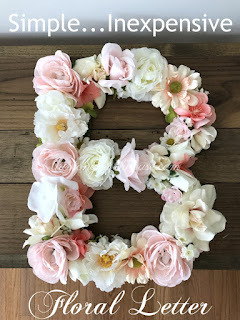 I spray painted the frame of the letter board, which I picked up super cheap at Walmart! That frame! 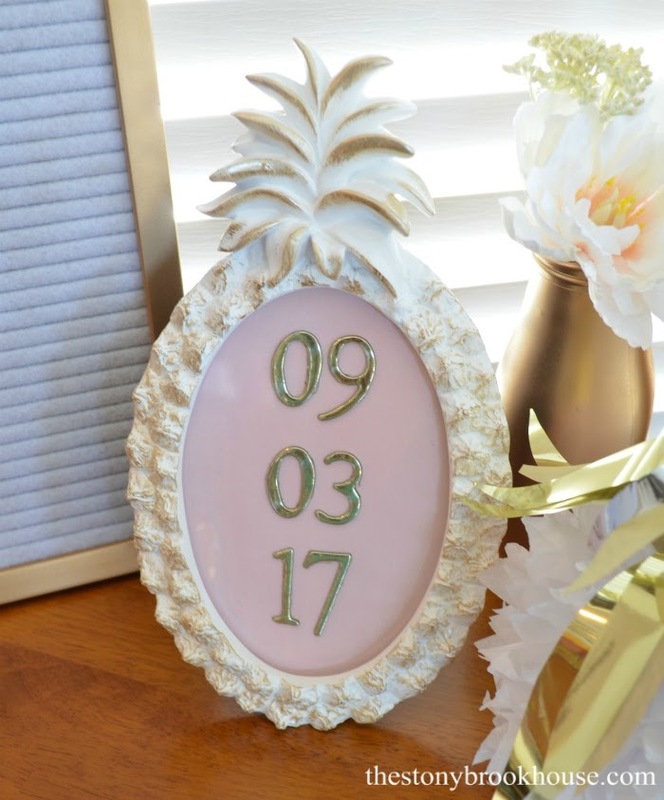 !💕 I picked that frame up at TJ Maxx and used gold letter stickers for the date of her wedding. 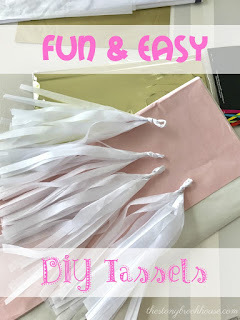 Super EASY!! 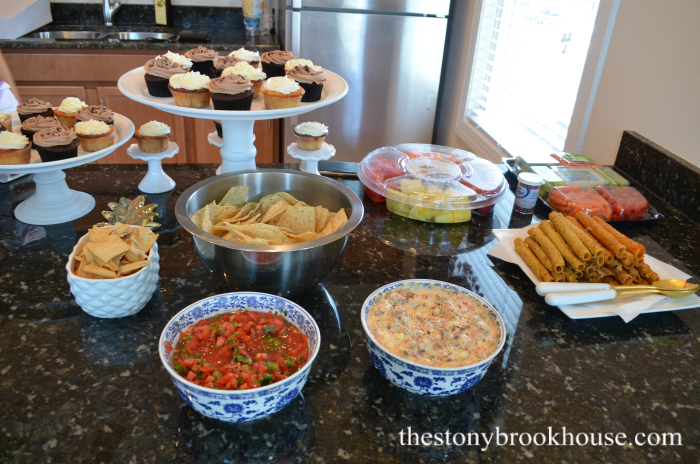 We had some yummy snacks. Those cake plates were silver and hanging out in my basement forever... I decided to spray paint them white and use as cupcake holders. Perfect! Those cupcakes!! Soooo Good!! 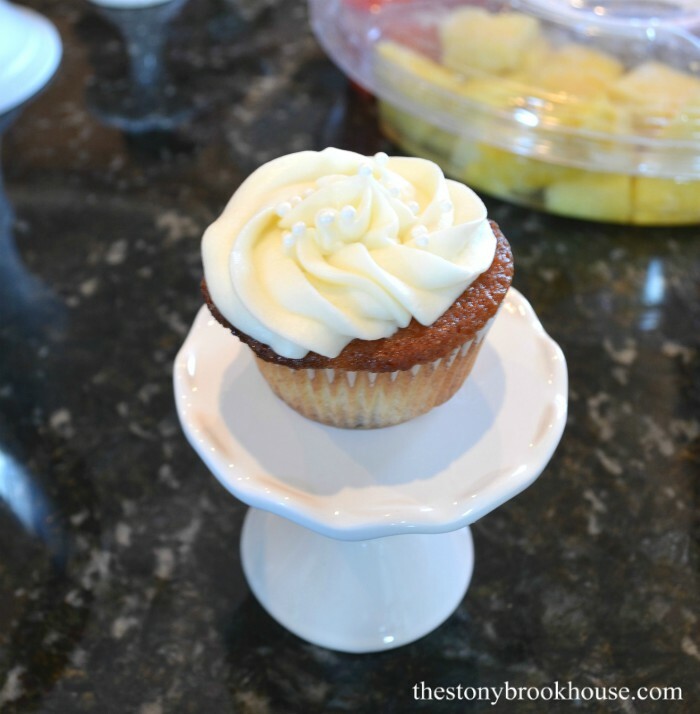 One of my daughter's bridesmaids makes all sorts of cupcakes! Yay! A fellow baker! She is going to be making cupcakes for the wedding. 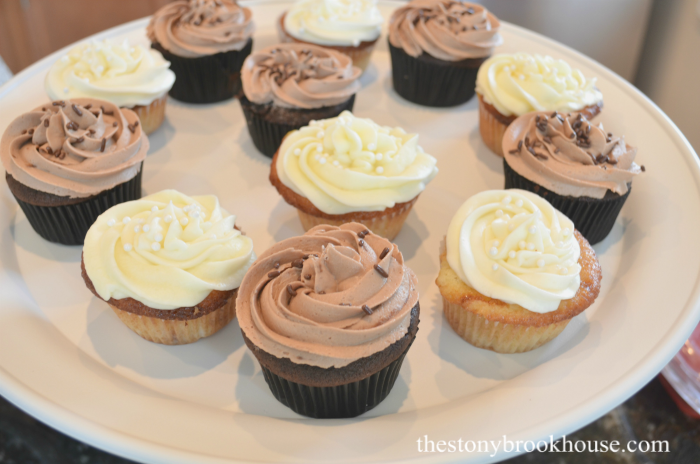 This time she made Pineapple Curd cupcakes and Nutella Filled chocolate cupcakes. We had such a fun time! A few games, snacks and then on to the gifts. 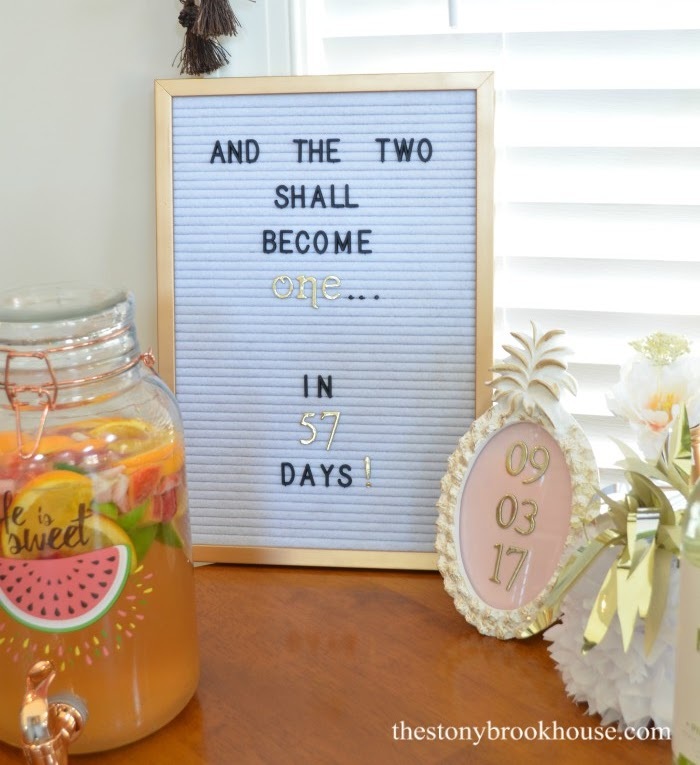 Now it's a count down until the wedding! Less than 2 months! Lori, this is gorgeous. The whole theme is so pretty. The chair is decorated to perfection. Loving the gold bottles and yes, those pineapples are so cute. 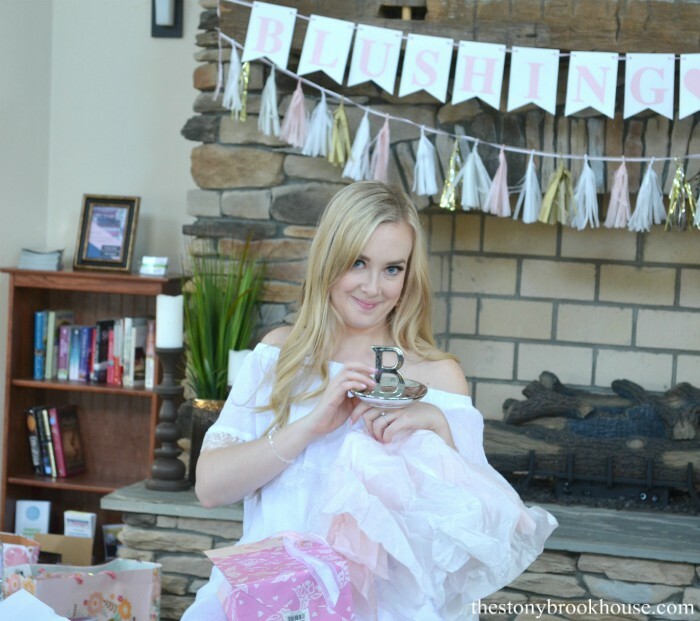 What a beautiful blushing bride to be. Sweet! How exciting for your daughter and for your families!!! 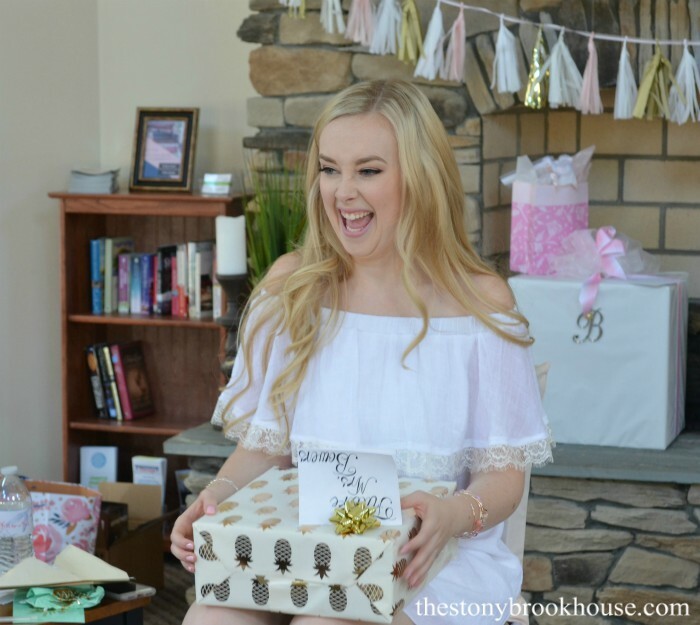 Congratulations on your daughter's engagement and upcoming wedding! Pinned a few photos to my Wedding Ideas and other boards on Pinterest for you. 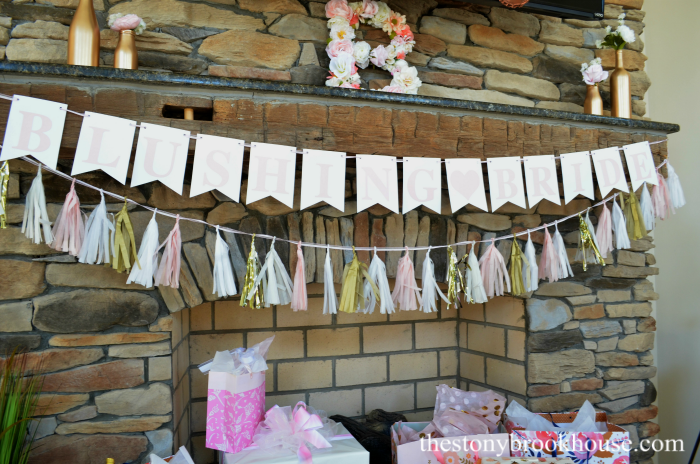 Lori, congratulations on your daughter's marriage, and for pulling off such a fun and festive shower for her. I know she must have loved your involvement. Those paper pineapples are adorable! Thank you for your part over the past year (has it been?!) in co-hosting DIDI. I hope you enjoy the next couple of months as you see your daughter off in her wedding. Cheers!